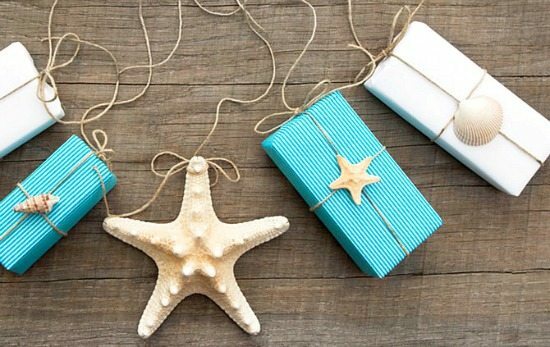 Simple gift wrapping ideas, using items that you might have around the house, such as brown paper, twine, burlap, and shells. Simplicity is the way of the beach! 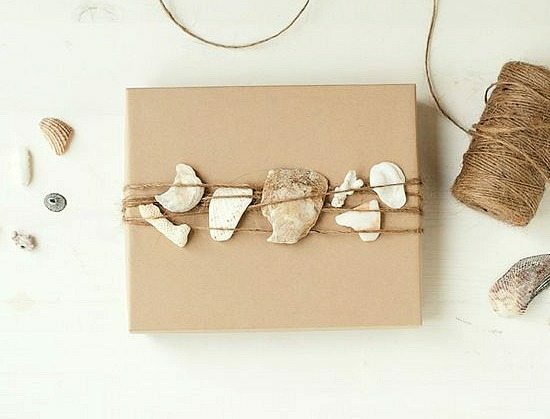 Gift wrapping with white and striped paper, twine, and a shell in the center. Via House by the Shore. 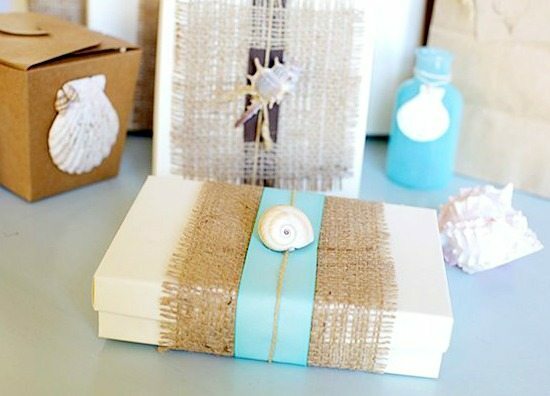 Beachy gift box idea by The Savvy Photographer. Shells, or rather shell fragments, slipped under twine by Anastasia Marie. 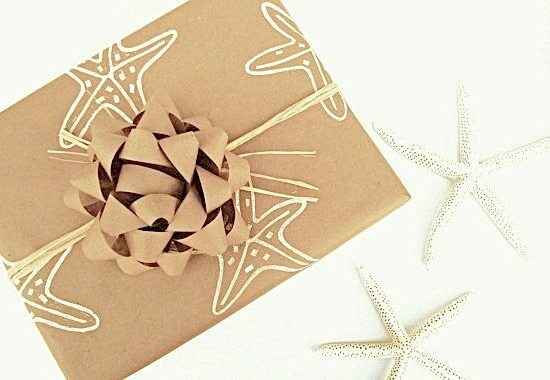 Bold white starfish stenciled onto brown paper by Everyday’s a Holiday. 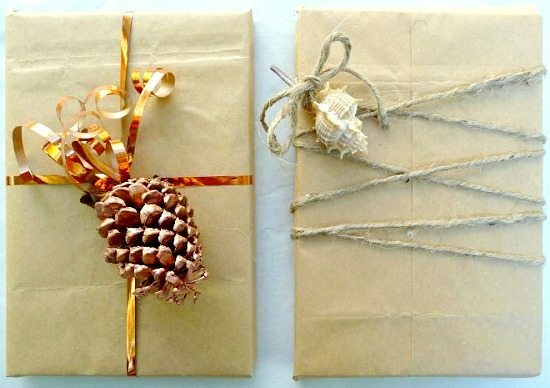 Brown paper gift wrapping with twine and ribbon by the Beachcomber. 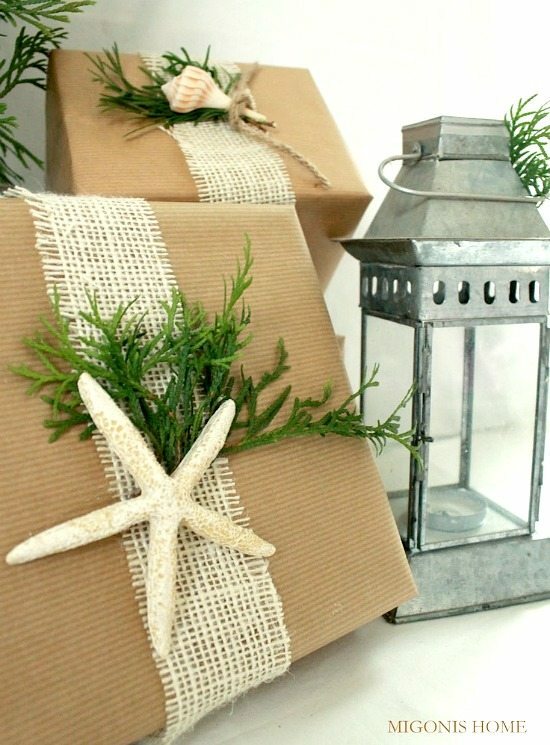 It’s a wrap with brown paper, burlap, shell and greenery by Migonis Home. 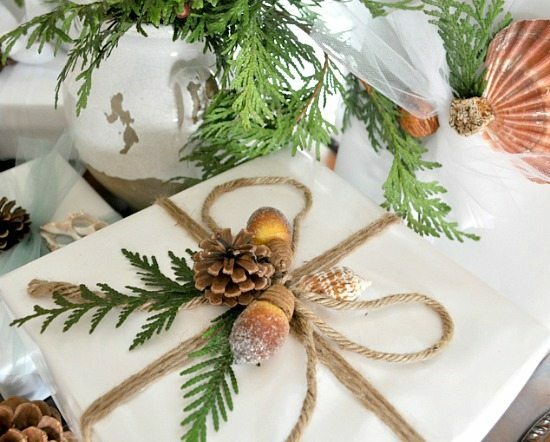 Simple gift wrapping idea by stager Kristine Ginsberg, featured here. And gifts wrapped with free paper bags from the grocery store by Craft Organic. 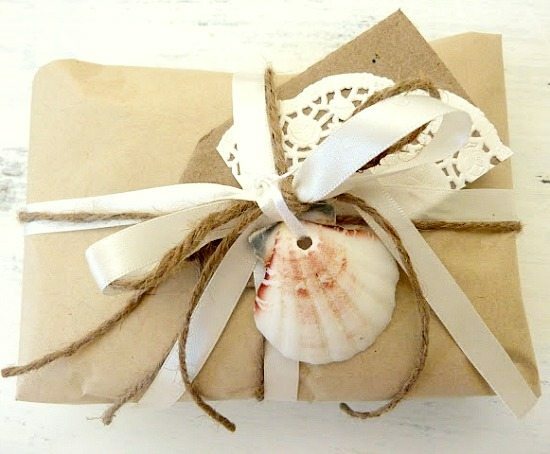 Each gift wrapping idea is beautiful in its simplicity, channeling the beach with lovely shells. I would have never thought to use a paper grocery bag to wrap a gift. But it works! 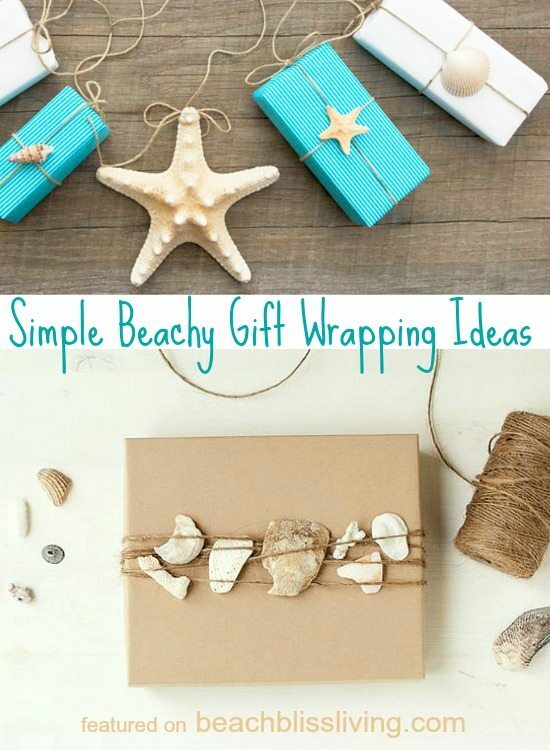 Now I can imagine that any type of paper can be used for this simple style of beach inspired gift wrapping. I have a bunch of packing paper saved, the kind stores use to wrap glasses and dishes. I think I’m off to a good start! I’m also loving the blue papers, and the greenery and the other seasonal findings from nature. Keep it simple and shop your home. You might have Christmas gift wrapping materials stashed away in cupboards and bins!